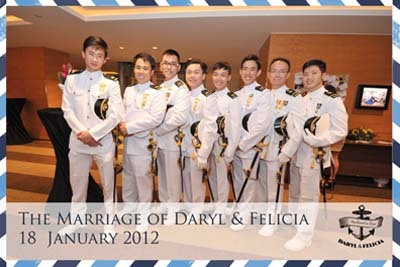 Do not leave your wedding's precious memories to an amateur photographer (Singapore has plenty of them!). Being a good hobby photographer is not enough. A wedding photographer knows what key shots to look out for at every wedding and will always on the lookout for fleeting magical moments. What is our style? 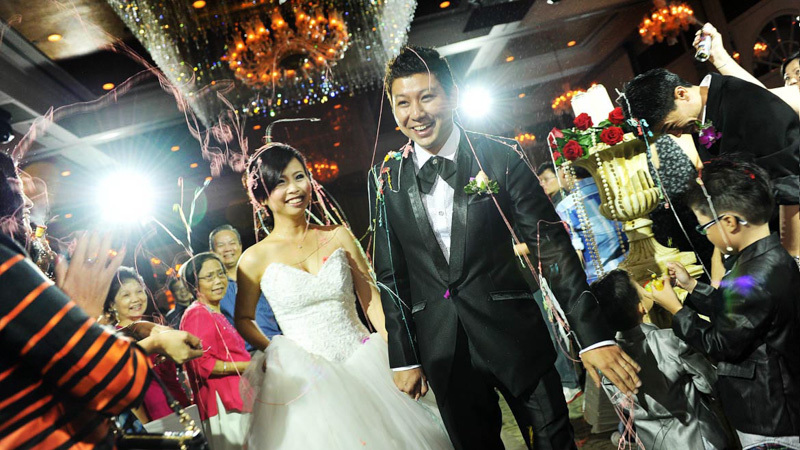 It is hard to define our style of wedding photography as every Singaporean wedding is different. Communication is key. We need to identify what the client’s preference is. Do they want us to engage them actively and capture fun happy posed shots or do they want us to be a fly on the wall and capture more journalistic candid shots? We are adaptable. What differentiates a good photographer from a great one is not just talent, it is hard work. Every wedding is important to us. We will go the extra mile for every single photo, explore every single angle, to deliver photos that will bring a smile to your face and a tear to your eye for years to come. Having been in the business for as long as we have, we are known to unlock all the best angles every popular Singapore wedding venue has to offer. Contact us now for an obligation free quotation. Cheaper packaged rates will apply once we communicate with you and better understand your needs. On booking, only 15% will be collected as a deposit. The most beautiful day of your life must be captured in photo and film. Photos capture fleeting moments while video immortalises the whole magical process for generations to come. Therefore, today emphasise that it is important that a professional and not the father or the uncle to be behind the video camera. It is important that this day tells a story that is your story. As we have leant since we were children, every good story has 3 main pieces to the puzzle - introduction, main body, conclusion. The videographer should be a sense of the important scenes has that day. Aside from a professional looking Music Video, we will also make sure that your wedding will be fully covered in a separate video where it is uncut, un-edited. With a second videoman deployed to the wedding, you can be assured to all your precious moments are captured from multiple angles for a truly TV style. DVDs with case, label and cover containing the music video and the Documentary Style Video. Instant photos! A popular request we are happy to oblige. We charge by the hour and they are a "top up" or optional add on to your wedding package. What makes us different from many of the other photography companies that offer this is our hardware! We have studio lights, we do props, and even our printer is badass! Our industrial printer is 22kg of printing muscle and is fast as hell. It spits out 1 photo every 5 seconds and make the selphy printers you see other photographers use look like toddler toys. We can print for either the cocktail session, or the table shots or both. We are available for local and overseas Pre-wedding photo shoots. Please email for more information. Video and photo services available. Rates are very reasonable, especially if traveling with more than 1 couple. We will handle all of the necessary research, booking of flights, transport and accommodation arrangements. Available for bookings world wide.